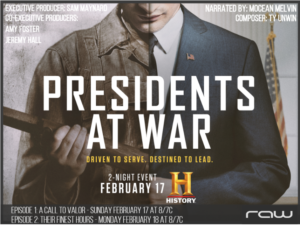 Saul’s next TV appearance is on ‘Presidents at War’, a two part series on the History Channel, 17/18 February 2019 at 8pm. 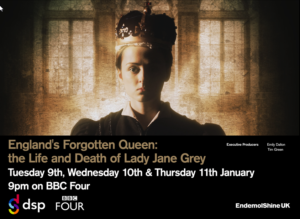 Saul’s next TV appearance is discussing Tudor military warfare on England’s Forgotten Queen: The Life and Death of Lady Jane Grey, a 3-part BBC4 documentary presented by Helen Castor. It airs on Tuesday 9th, Wednesday 10th and Thursday 11th January at 9pm. Saul will present a new 2 x 1 hour history series called ‘War Above The Trenches’ for UKTV Yesterday and French channel RMC Découverte. Filming begins in late November and the series will air in 2018.